How to Share Blu-ray Movies via Home Network on Various Different Devices? For many families, one computer is no longer enough to go around. 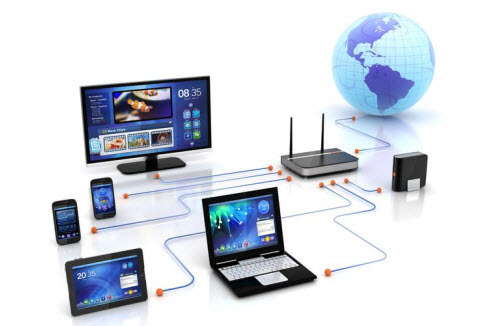 In a household with multiple computers, smart devices like network printers and also handheld mobible devices, a home network often becomes a necessity rather than a technical toy. By setting up home network, you can allow multiple devices to communicate with one another to share files and documents, stereos, TVs and game systems and CD burners. Wish to share your favorite Blu-ray movies via home network on different devices? How to share Blu-ray movies on home network? Sony's licensing on Blu-ray makes it pretty difficult to play Blu-rays on your computer or access via home network. To fix that, you will need a special program to bypass that protection then you will have the opportunity to back the Blu-ray movies on your computer, add them to your media server for sharing between multiple computers. Make sure that the computer always has an Internet connection with sufficient upload speed. Alternatively, you can also format the Blu-ray to a compatible digital file format or a specially optimized file format for viewing among various portable devices through home network. As Blu-ray disc frequently changes and becomes hard to crack, so you'll need a program program that can bypass this protection and downloads updates so that it can break the most recent encryption. 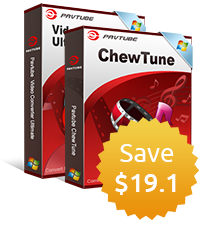 After a lot online comparison and testing, we find that Pavtube ByteCopy (best Blu-ray Ripper Review) can cater to all your great demands. The program has recently upgraded with perfect support for MKB61 and MKB62 decryption, which enables you to bypass all the copy and region protection from the recently released Blu-ray movies (including Blu-ray disc, BDMV folder and ISO image file). 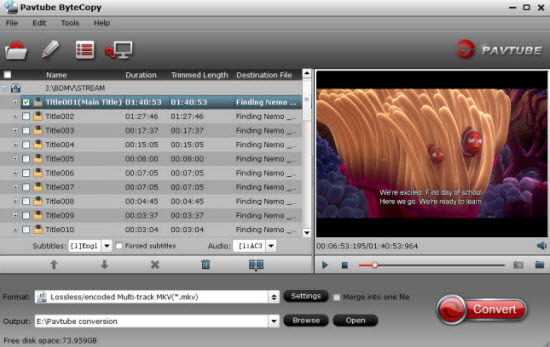 To conveniently share Blu-ray movies on home network, the program produce various output options for you: a full 1:1 disc copy of Blu-ray movies with original structure in a BDMV folder, main movie copy of Blu-ray movies without unwanted comments, trailers, ads in a M2TS file format to store on your local computer hard drive for viewing via home network with media servers. 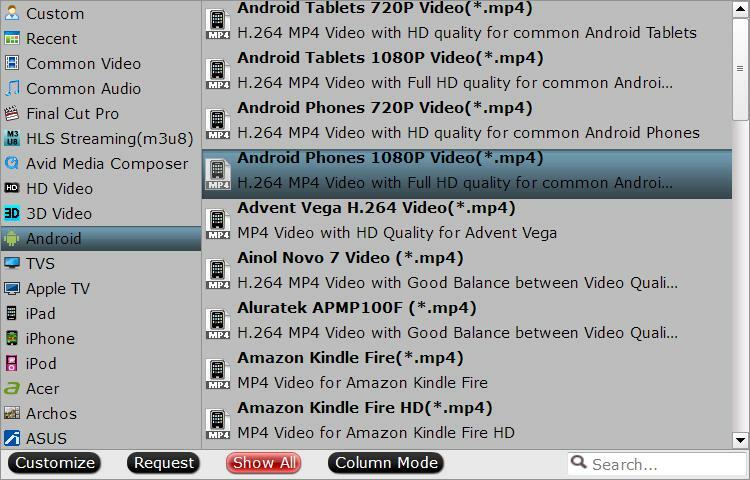 To share Blu-ray movies on portable devices like smartphone, tablets, you can use this program to output Blu-ray to portable devices compatible file formats and then change the output profile parameters to ensure a better output video/audio quality. If you have no idea how to adjust those settings by your own, just use the program to directly output Blu-ray to portable devices preset profile formats for directly viewing on smartphones or tablets. For Mac users, you can download Pavtube ByteCopy for Mac to rip Blu-ray for home network sharing on Mac OS X El Capitan and macOS Sierra. How to Copy/Rip Blu-ray Movies for Home Network Sharing? Run the program on your computer, insert the Blu-ray disc into an external Blu-ray drive. 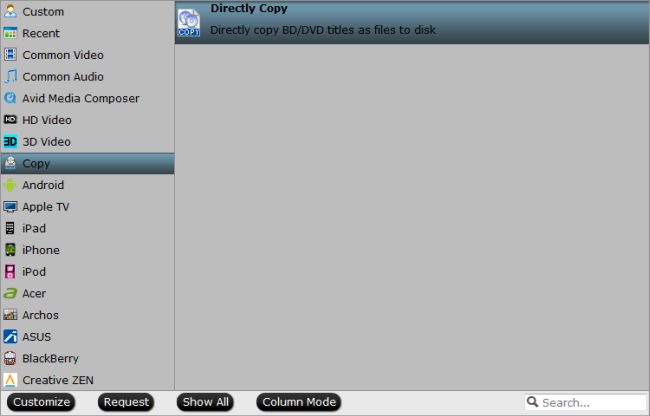 Click "File" > "Load from disc" to load Blu-ray disc into the program. Apart from Blu-ray disc, you can also use the program to rip Blu-ray folder and ISO image file. Step 2: Output different digital file format. Tips: Click "Settings" to open "Profile Settings" window, here you can flexibly adjust output video codec, bit rate, resolution, frame rate, audio codec, bit rate, sample rate, channels, etc. Step 3: Start Blu-ray to Home Network copying or ripping process. After finishing all the settings, go back to the main interface, press the right-bottom "Convert" button to start Blu-ray to your desired file format copying and conversion process.